When it comes to privacy window films, there are several choices. Some privacy films are simply reflective, making it impossible to see through. While other films are designed to provide patterns and colors that match your existing style while providing the privacy you seek. You often see these types of window films in bathroom, entryways, or other areas of homes where you might benefit from a little more privacy, without adding blinds or curtains. 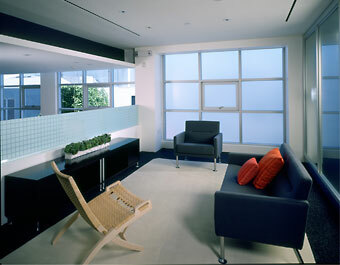 Frosted glass is a popular option for many privacy seeking homeowners. Thats why we offer window film that look identical to frosted glass and looks great in bathrooms. If you prefer etched or patterned glass, we also have window film that can accommodate that look. If you live in the city or have a space that is along a busy walkway. Nobody appreciates people passing by and staring into their homes. Privacy window film could be the perfect economic solution to this problem. If you often travel and would like your home to feel more secure, privacy window film might be for you. Having the piece of mind knowing that burglars can’t look into your windows and see that your not home could make your time away much more enjoyable. If you have a home with sidelights near the entryway and would like more privacy but don’t want to lose the natural light, privacy window film can help. By adding privacy film to the sidelights you will gain the privacy you want without losing the natural light that keeps this area from being so dark. Some homeowners see the benefits of privacy window film but want to explore other options. If this sounds like you then you might want to take a look at our sister company, Scottish Stained Glass. We can design, build, and install custom stained glass windows that will fit perfectly in your home.